to make a difference. Riders Gary Pertot, Liz Walker, Leigh Jobling, mother and daughter team Mandy and Sarah Heard, Roby Corelli, Bill Schlink, Dave Hall and Jonathan Nixon along with the incredible support of Chris Waldron and Boris M Struk. my Crocodile Dundee attitude, we ended up 40kms off course… in Werribee! Blood on the Southern Cross show at Sovereign Hill. 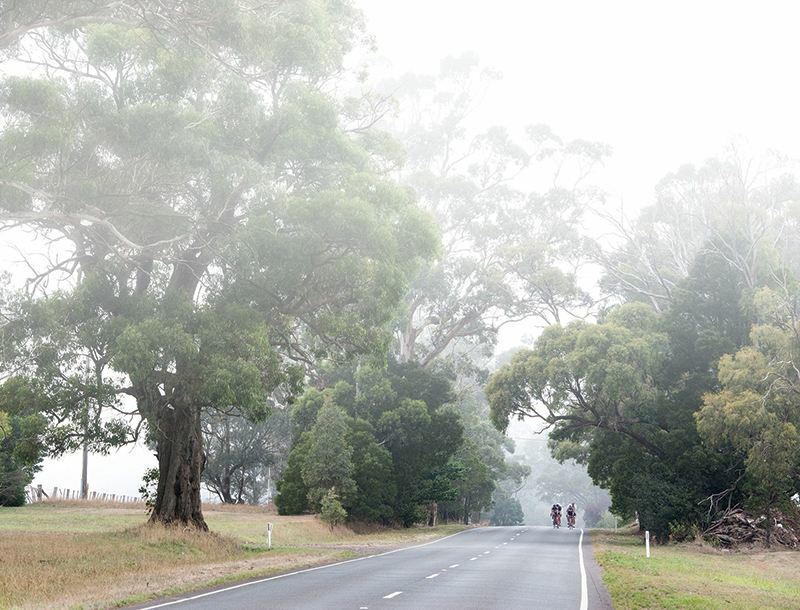 After the first few hiccups, the remainder of the weekend ran extremely smoothly, shaping into an event that was everything the MDA team had hoped for, with plucky riders ploughing onwards, kilometre after kilometre ticking by in intense heat through the historical Goldfields regions of Victoria. MDA’s Executive Director Boris M Struk was never too far away to assist our riders, driving the support vehicle and doing anything from water drop offs to fixing busted tyres. The camaraderie and support was organic with our strong riders Jono Nixon, Robbie Corelli, Dave Hall and Liz Walker taking the lead while Gary Pertot dropped back to accompany and encourage those who had never done such a crazy thing in their lives. Bill Schlink, Sarah and Mandy Heard rode hard on their mountain bikes with absolute determination to get from township to township and despite the big variance in abilities with our riders, we all finished together. There were so many highlights, like passing Chris on his camp chairs blasting salsa music, Leigh’s family cheering us into Heathcote and Jono and Robbie surviving their extra Mt Alexander detour after Fryerstown and running out of water. On day two we were joined by riders Kristen Slade, Marlon David and Will Gielewski, who ramped the pace up for a bit of fun. Gary led a high powered chase to catch them and I sat on his wheel reeling in trophies and Strava QOM’s for his efforts. Chris swapped Sarah’s pedals onto his road bike and we watched her soar off fearlessly with natural talent. 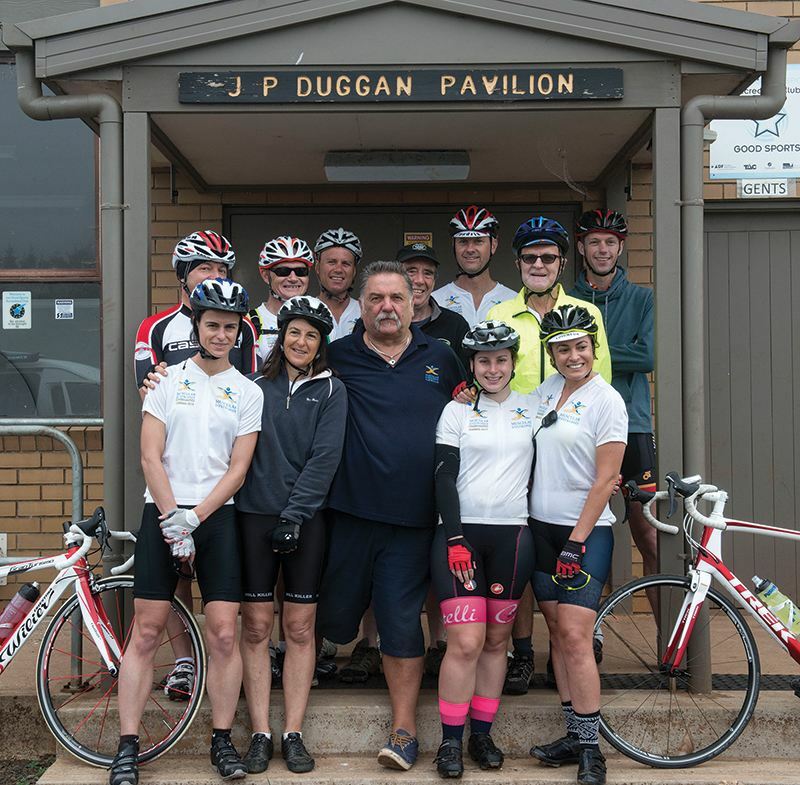 We all enjoyed the glorious Toobarac-Lancefield finish on day four, awed by the sheer wonder and beauty of nature as we rode past intricate rock and boulder formations, shaped over thousands of years. My favourite moment of all was watching Mandy power on up a 15 per cent climb which earnt her a ‘Hill Killer’ jersey as promised. The part of ChallengeMD Goldfields I’m most proud of is the absolute integrity with which our organisation approached the concept and the riders who supported it. Muscular Dystrophy Australia is quite unique in the charity events space in that we are absolutely dogmatic over cutting out every possible unnecessary cost. This meant we didn’t stay in any fancy hotels or have anything beyond basic amenities including sleepin on the floor of the local football clubs in Wallace, Maldon and Heathcote. The cost of running this event was covered entirely by the ChallengeMD riders and their equally low registration fees of $250. Every single dollar they raised through the donations of their supporters is going exactly where MDA has promised; to programs, services and research. On behalf of Muscular Dystrophy Australia, as well as the 1 in 625 men, women and children affected by MD, we offer our sincerest thank you for supporting this initiative, whether as a rider or through sponsorship or donations, you have joined our fight against Muscular Dystrophy!